U.S.A. Party! 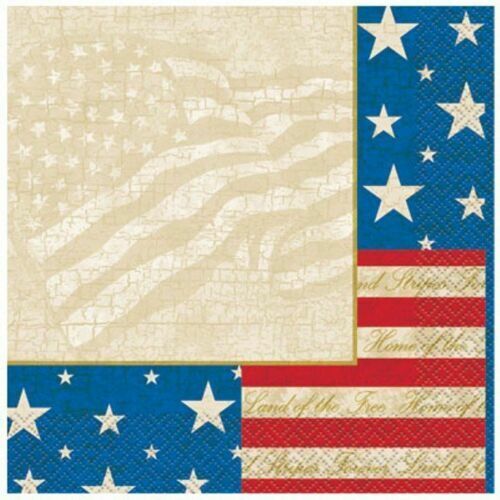 16 ct 2 Ply Paper Napkins Beverage Size 10" x 10" Stars and stripes of red and blue on an ivory parchment background of flag pattern with words in the stripes, "Stars an Stripes Forever", "Land of the Free", "Home of the Brave". Manufactured in the U.S.A! Perfect for any Patriotic events - July 4th, Memorial Day, Veterans Day!